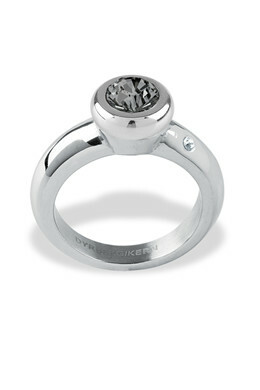 From our Compliments collection in stainless steel: Design your own ring with the JOY topping. A simple Swarovski crystal topping in a variety of different colors. 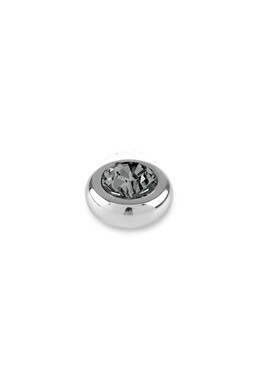 Shown here in silver toned finish with grey colored crystal.